Unlike EPA’s Drinking Water and Clean Water State Revolving Fund (SRF) programs, WIFIA does not guarantee a share of funding to each state every year. Instead, the program requires EPA to solicit applications from states and individual communities across the country that are seeking to finance major water infrastructure projects that are generally expected to cost more than $20 million (though projects in rural areas must only cost at least $5 million). Loans to selected applicants are to be offered at below-market interest rates, with generous loan terms that require repayment to begin five years after a project’s completion and end 30 years after that. Perhaps most importantly, WIFIA is designed to leverage a modest federal appropriation into a significant pot of available funds. Because all WIFIA assistance is offered as loans, not grants, federal budget scoring rules assume that the funds will eventually come back to the Treasury with interest. This means that the full amount of each WIFIA loan is not counted against the program’s annual budget authority – only a small “subsidy cost” is calculated to recognize the small risk of default on a WIFIA loan. To put it simply, WIFIA offers a tremendous “bang for the buck” in today’s tight budget environment. After Congress authorized the program in 2014, EPA quickly got to work engaging with stakeholders and designing the nuts and bolts of how WIFIA would operate. Finally, late in 2016 Congress approved funding to support WIFIA loans during the 2017 fiscal year, and last January EPA began soliciting letters of interest from communities that hoped to apply for WIFIA funds. The response was swift. Forty-three potential applicants submitted initial letters of interest to EPA, and the agency eventually invited 12 entities to formally apply for a WIFIA loan. These 12 entities are pursuing a combined $2.3 billion worth of loan funding, which will help finance $5.1 billion in water infrastructure investments – all from Congress’ initial appropriation of $25 million. This represents a leveraging ratio of 92-1, meaning that each dollar of WIFIA appropriations will support $92 dollars of loans to communities. Today, EPA is in the process of evaluating these applications and has begun to issue loans. And, after receiving $55 million to support a new round of WIFIA loans in FY18, on April 4 EPA released a new Notice of Funding Availability that seeks new letters of interest for approximately $5.5 billion in available credit assistance. EPA expects this financing will help support approximately $11 billion in total water and wastewater infrastructure investment. If all of this sounds like a tremendous success story, that is because it is. In a time of significant partisan strife, Democrats and Republicans came together to create a new federal loan program to supplement existing efforts to upgrade our nation’s drinking water and wastewater infrastructure. But the story does not end there. In fact, Congress now must take the next step to ensure WIFIA may continue to build on its initial success for years into the future. The 2014 Water Resources Reform and Development Act authorized WIFIA as a pilot program for five years, through 2019. But no funds were appropriated for loans during the program’s first two years, as EPA was working behind the scenes to set the program rules and get WIFIA up and running. This means WIFIA’s initial authorization will only support three years of project funding rounds, with the last one coming next year. At that point, in the absence of further congressional action, WIFIA’s authorization will expire, leaving the program’s future in question. Fortunately, efforts are underway on Capitol Hill to solidify WIFIA’s place on the water infrastructure funding menu for the coming years. Bipartisan legislation introduced in the House and Senate as the Water Infrastructure Finance and Innovation Reauthorization Act (H.R. 4492/S. 2329) would reauthorize WIFIA for five years, through 2024, while also taking steps to jumpstart a similar U.S. Army Corps version of the program for water resource projects that was also created in 2014 but which has never received funding. This legislation enjoys broad support from leading water and wastewater sector organizations such as the Association of Metropolitan Water Agencies, the American Water Works Association, the Water Environment Federation, and the National Association of Clean Water Agencies. The initial success of WIFIA shows that action, not just talk, is possible as the nation confronts its broader infrastructure funding challenge. 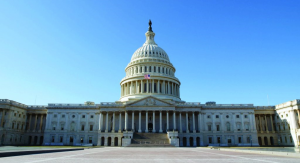 Congress should continue its bipartisan record of support for the WIFIA program and pass the Water Infrastructure Finance and Innovation Reauthorization Act as quickly as possible. Diane VanDe Hei is the CEO of the Association of Metropolitan Water Agencies (AMWA), the organization representing the largest publicly-owned drinking water systems in the United States. AMWA’s membership serves more than 140 million Americans – from Alaska to Puerto Rico – with safe drinking water.